Listen to Noreena talking on The Brian Lehrer Show and helping callers with useful tips in being able to making better decisions in their lives. Noreena was interviewed by Yahoo Finance about how to make better and smarter decisions day by day. “No wonder Noreena, now 46, has been dubbed “one of the world’s leading thinkers”, one who gives keynote addresses to the World Economic Forum and advises international corporations when it comes to decision making. 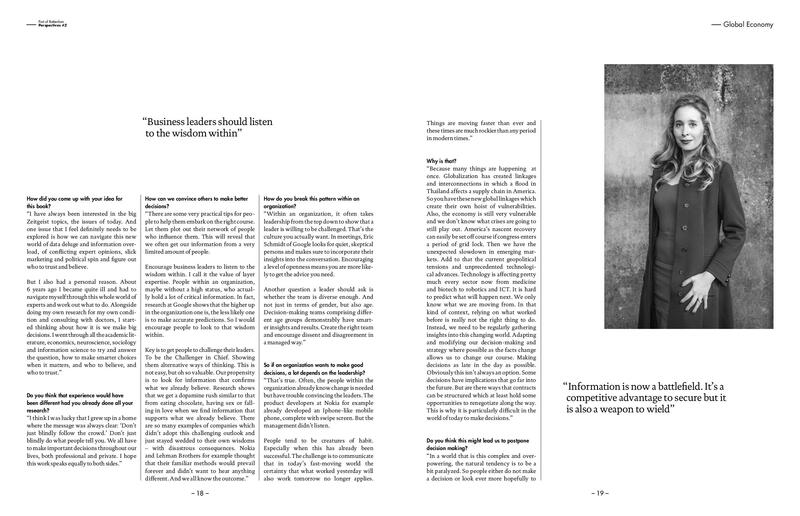 Read Gerald Isaaman’s great article about Eyes Wide Open on the Camden Review. Noreena tells HuffPost Live how her mysterious sickness six years ago led her to research how we make decisions and why is it key that we take responsibility for our own decisions. Noreena on CNBC’s Power Lunch about how to make better decisions. “We go to experts because we are so overwhelmed by data, but it’s important not to take the advice at face value. It’s about developing skills to understand and challenge experts when needed.” – tells Noreena in the article by The Economic Times India. “Buying toothpaste should be a simple task. 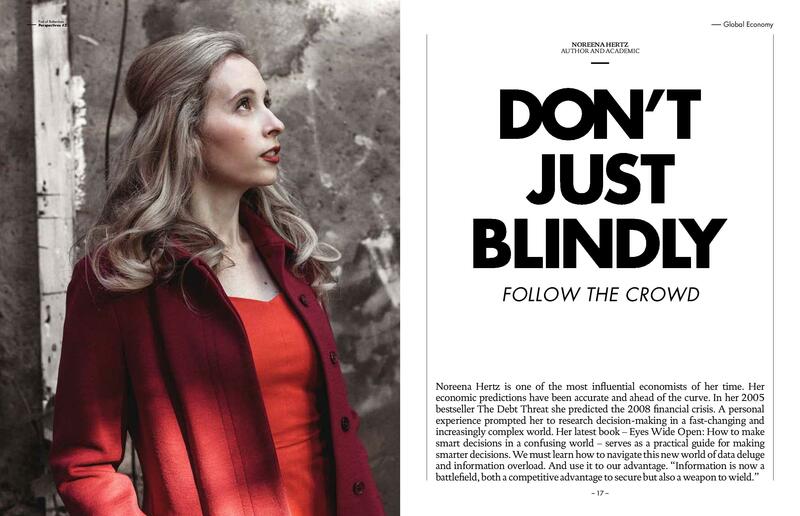 Yet anyone who has stood in a cosmetics aisle and felt overwhelmed by opting between a paste that promises to whiten their teeth or one for sensitive gums knows there is such a thing as too much choice.” – Read Gabrielle Monaghan’s article about Eyes Wide Open in the Irish Independent. 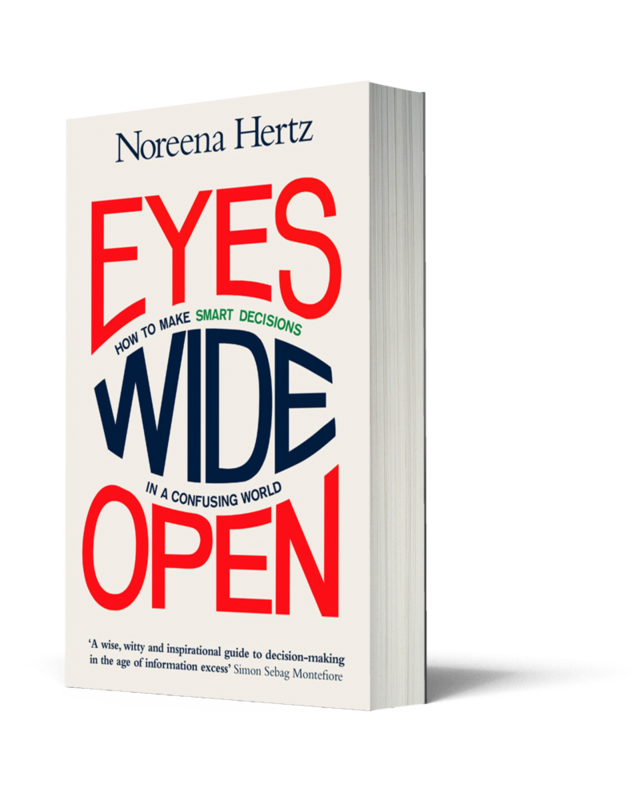 Noreena talked to Wall Street Journal Live about Eyes Wide Open and the importance of knowing our emotional state in order to become smarter decision-makers in the New Year. 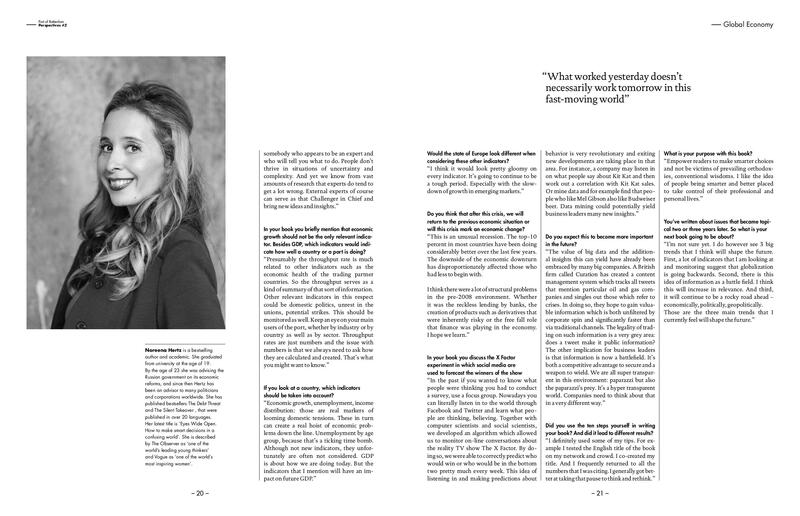 The Dutch publication, Perspectives, featuring a 6-page interview with Noreena. Read it here, or on Perspectives’ website. You can also see Marc Nolte’s beautiful pictures here. 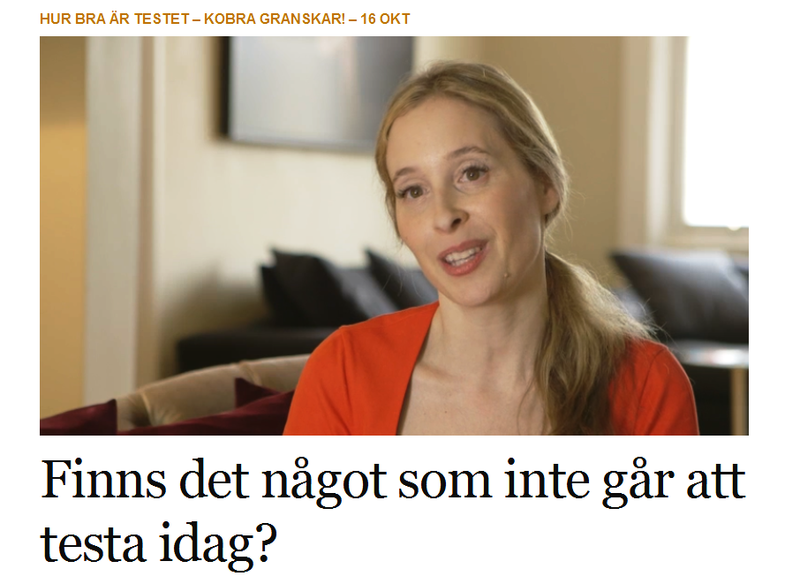 Kobra, the cultural flagship program of Sweden’s public broadcast television, SVT, featuring Noreena in its episode about tests. Personalities, products, partners, politicians – is there anything that is not tested today? Is really everything is measurable? Kobra tested the tests [VIDEO] with Noreena’s help.